Tablet-News.net / Android / Samsung Galaxy Tab 7 Plus Only $399? Make way for the new Samsung Galaxy Tab 7 Plus as it hits the market. This 7-inch tablet with Android 3.2 Honeycomb OS will be available soon, but how much does it cost for you to have it? There are reports that the Samsung Galaxy 7 Plus will cost you $399 for a 16 GB Wi-Fi model and $499 for 32GB Wi-Fi model according to some online stores that offer new pre-order pages on their websites for Samsung Galaxy 7 Tab Plus. 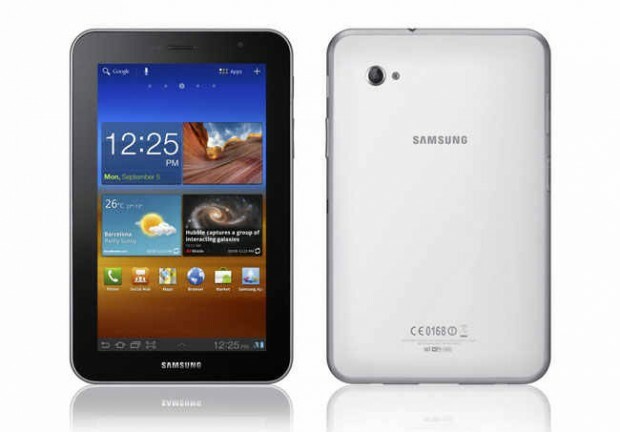 With the available prices for Samsung Galaxy Tab 7.0 Plus, are they reasonable enough? Actually, it really depends on what you can get out of its features with this 7-inch tablet. The Samsung Galaxy Tab 7 Plus really looks swift on its 7-inch 1024×600 touch screen, PLS display, a 2MP front facing camera, with a sharp 3MP rear facing one with 720 HD video recording. It also runs in a 1.2 GHz dual-core processor, packed with 1GB RAM. The Samsung Galaxy Tab 7 Plus only weighs 345g, and has a thickness of 9.96 mm. Samsung Galaxy Tab 7.0 Plus starting $399? The Samsung Galaxy Tablet Tab 7 Plus is in tight trade with the HTC’s Flyer 7-inch tablet, although the HTC Flyer is available for only $299 for a 16 GB Wi-Fi model. Considering the specifications and features, the Samsung Galaxy Tab 7 Plus will win over the Amazon Kindle Fire, but if you opt to take on the tablet’s prices, Amazon Kindle Fire wins, and it cost only $199.